Intravascular ultrasound (IVUS) can resolve abnormalities within the coronary artery to a degree that is not possible with angiography alone. With an axial resolution of 70-200 μm and lateral resolution of 200-400 μm, IVUS can provide information on arterial wall and luminal composition that can change clinical management decisions. This webinar series describes scenarios of clinical uncertainty where the coronary angiogram has not provided enough information. It also gives examples of how IVUS can help to clarify decision-making in such cases. Dr Robert Gerber is a Consultant Cardiologist at Conquest Hospital and Eastbourne District General Hospital in East Sussex. Having completed his medical training at King's College London, he went on to complete the MB/PhD programme. Dr Gerber is qualified in both General Internal Medicine and General Cardiology with a sub-speciality in Interventional Cardiology. He has also previously worked as an Interventional fellowship at San Raffaele and Columbus Hospitals in Milan, Italy. 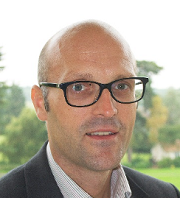 Dr Robert Gerber is also highly involved in research and teaching, and he is module leader for the MSc in Cardiology at Brighton and Sussex University (BSUH). He is also a member of the British Hypertension Society (BHS), the British Cardiovascular Intervention Society (BCIS) and the European Association of Percutaneous Coronary Intervention (EAPCI). Dr Gerber has published extensively in the field of interventional cardiology, and is also the ESHT Principal Investigator of several randomized clinical trials. A keen sportsman, Dr Gerber uses his cardiac and sports knowledge to run healthy heart screening programmes. 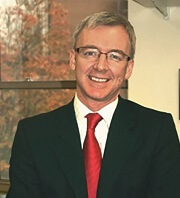 Prof Andrew Sharp qualified from Edinburgh Medical School in 1998. He conducted his senior clinical training at Imperial College Hospitals and San Raffaele Hospital, Milan, before being appointed in 2011 as a Consultant Cardiologist and Honorary Senior Lecturer at the Royal Devon and Exeter Hospital and University of Exeter. Professor Sharp was awarded an MD postgraduate research degree for his work on the hypertensive heart whilst at Imperial College and now leads a growing research programme at the Royal Devon and Exeter Hospital in the fields of hypertension, renal denervation, ischaemic heart disease, intra-coronary imaging, coronary physiology, pulmonary embolus and aortic valve disease.